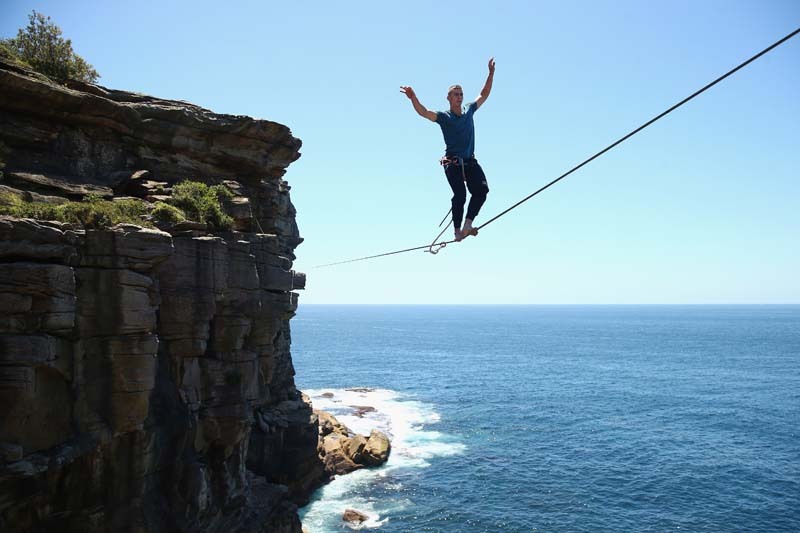 Antek Marciniec walks along a slackline as he highlines between two cliffs at Diamond Bay on December 21, 2014 in Sydney, Australia. Slacklining is a balance sport in which participants walk on a flat nylon webbing anchored between two points with the tension adjusted to allow for slack, providing an experience similiar to that of walking on a trapmoline. Highlining is a style of slacklining where the two anchor points are set up with significant elevation from the ground or water.